Dark Ages Romance: Discover the romance of Dark Ages Britain: BATTLE EAGLE is underway! 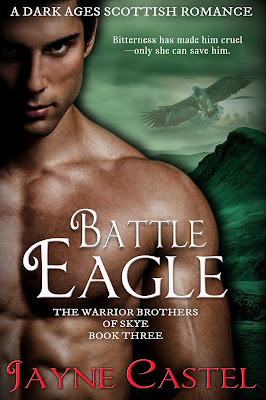 I'm currently around 35% into the first draft of Book #3 of The Warrior Brothers of Skye series—BATTLE EAGLE. 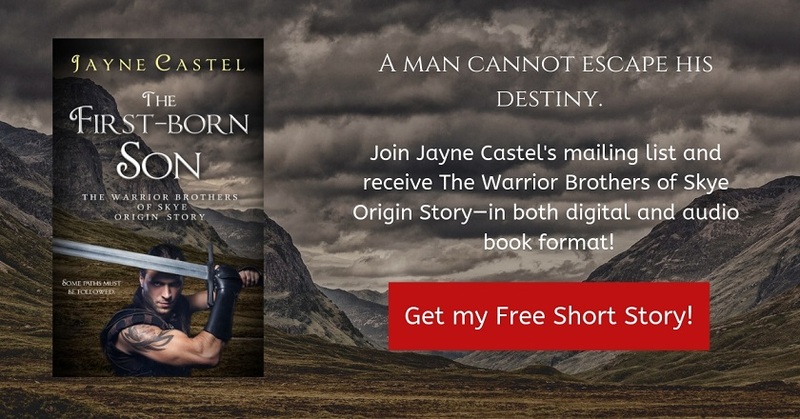 I'm loving writing this book, perhaps even more so since we met the hero and heroine back in BLOOD FEUD, Book #1 of the series. It's about time I told Eithni and Donnel's story! Readers have been really enthusiastic about this series so far, which makes Book #3 even more exciting to write. This is an emotional roller-coaster of a book though, and wrenching at times to write. Both characters are damaged, and will have to undertake quite an emotional journey in order to find love. Get out your tissues! The cover is now ready and I'm excited to share it with you here. The warrior is exactly how I picture Donnel ... dark and brooding! BITTERNESS HAS MADE HIM CRUEL—ONLY SHE CAN SAVE HIM. Eithni believes herself too damaged to ever find love, and Donnel vows he will never love again. Can they find their way out of the darkness together? A healer upon Dark Ages Isle of Skye, Eithni enjoys her life with the tribe of The Eagle. However, the scars of the past—and harrowing memories of the man who stole her innocence—make it impossible for her to find happiness. The 'Battle Eagle', Donnel, is a warrior of renown. Only bitterness has soured his character. He lost his wife in childbirth and now can't even bear to look at his son. The infant is a reminder of the woman he loved and lost. These days Donnel is intent on wreaking vengence upon the world. Although cowed by his anger, Eithni challenges Donnel about his bitterness. She's determined to bring father and son together—even if he rejects her help. The Gathering of the Tribes upon the isle that summer changes Eithni and Donnel's lives forever. A chain of events brings them together, forcing them both to change and to open their hearts. But is love enough to heal the wounds of the past? BATTLE EAGLE should be ready for release mid-2018. Return to Dark Ages Isle of Skye!